In January Laura’s favourite was and my favourite was Book Corner Lost And Found by Diary of An Imperfect Mum. My favourite post for January was the book review if I See Me Snuggle Bunny Book by The Breastest News. 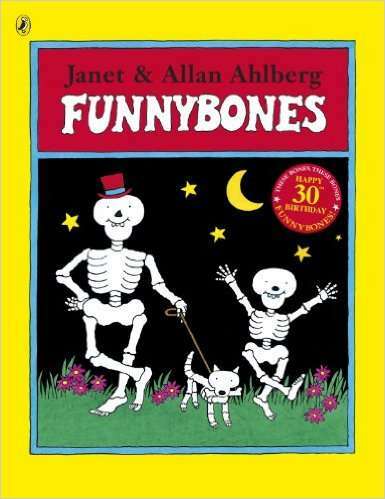 The giveaway book for February is called Funny Bones by Allan and Janet Albergh. We have one copy to giveaway. *Entrants must reside in the UK or Ireland. The competition closes on the 5th March. One winner will be randomly chosen. You can Enter Below. 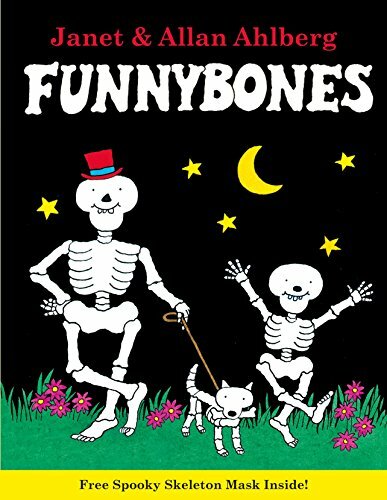 Next month is World Book Day (2nd March), and because we’re mad about books and encouraging children to read we thought we would make things more interesting next month! For March’s Kids Love to Read – which will go live on the 20th March – the blogger who links up with with the best World Book Day post will win a £10 Amazon gift voucher to get some bookish goodies for themselves, their children, or both. All you need to do is link up a World Book day related post on the 20th March. We look forward to seeing you again next month and reading all your posts celebrating World Book Day! To give you some inspiration, Laura and I have already written our World Book Day posts and linked them up this month. 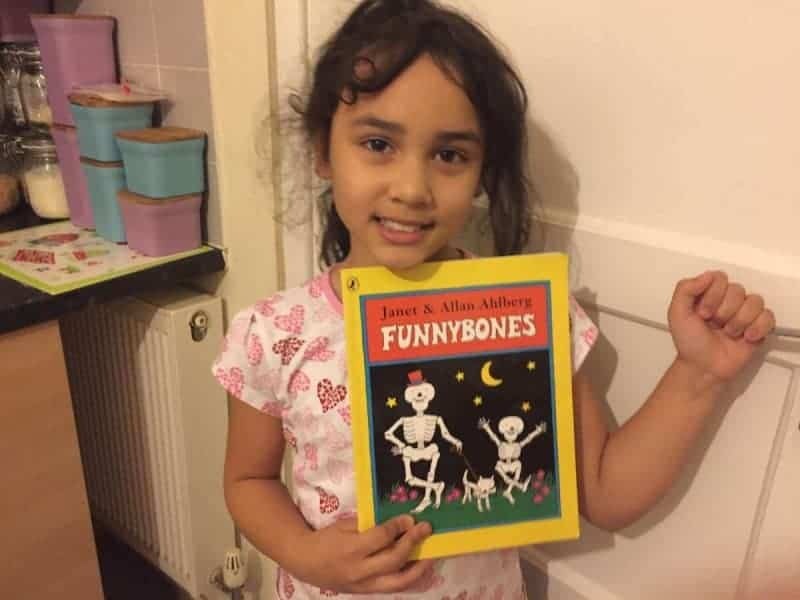 You can read my world book day post Fantastic World Book Day Costumes for Kids and Laura’s post which is on 60 Books Every Child Should Read. 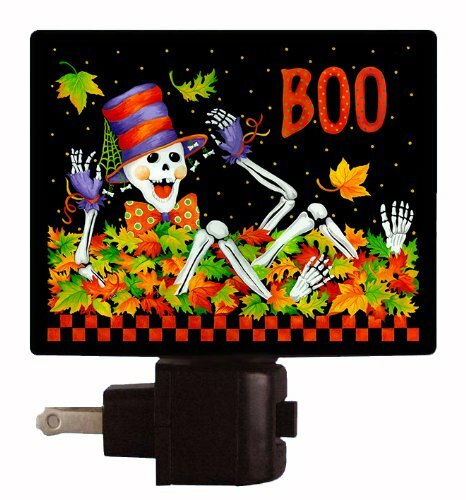 Funnybones Halloween Night Light – Mr. 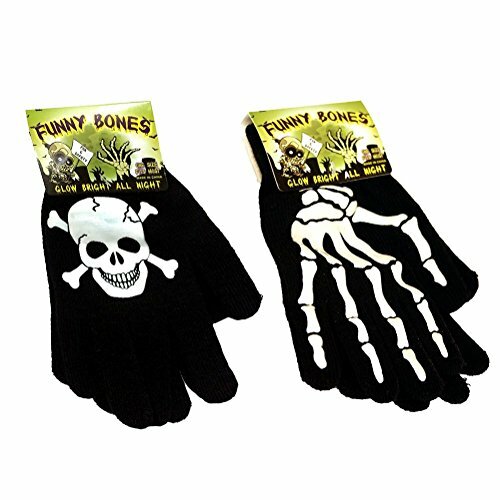 Funny Bones – Skelton Night Light – LED NIGHT LIGHT Funny Bones Glow in the Dark Gloves 2 Pack – Perfect for HALLOWEEN! Thanks Rosie! We look forward to reading your post!